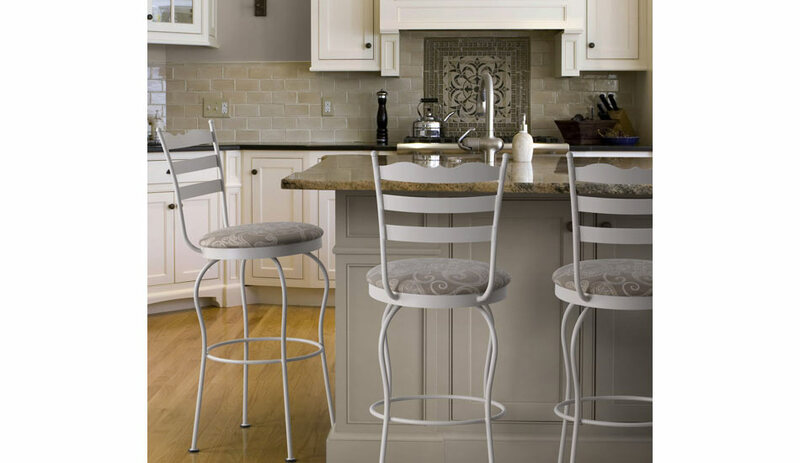 Custom Trica Barstools come with a 10 year warranty! 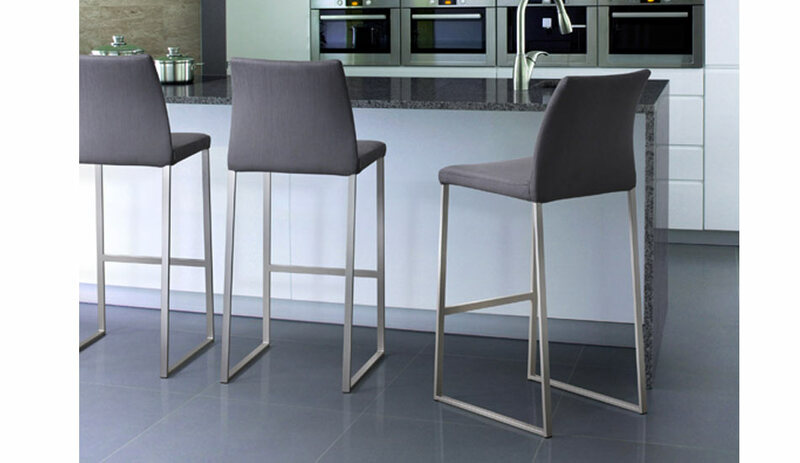 We are pleased to introduce Trica barstools into our showroom. 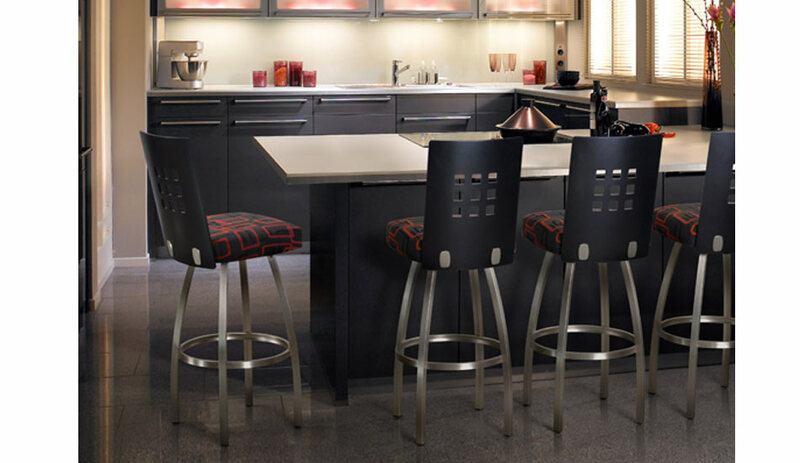 We fell in love with the dedication to quality that Trica produces and the outstanding selection of choices that their product line offers. 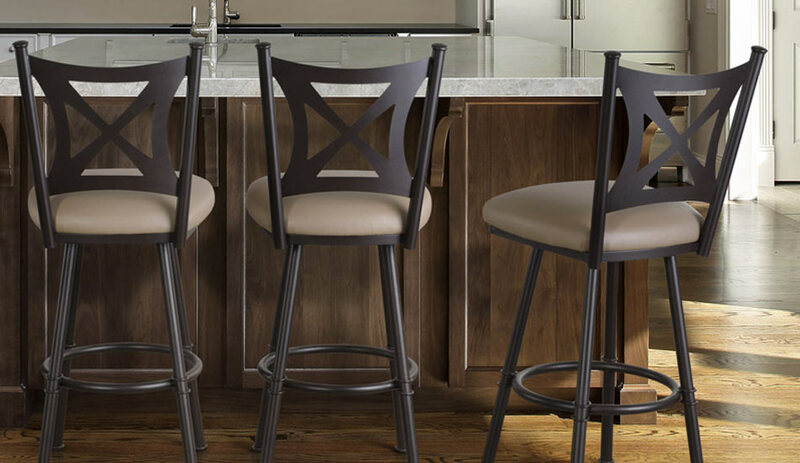 The Trica barstools are an excellent complement to any kitchen, billiards area, island, bar etc… and their line is environmentally-friendly, Canadian-made and come backed with a 10-year limited warranty. 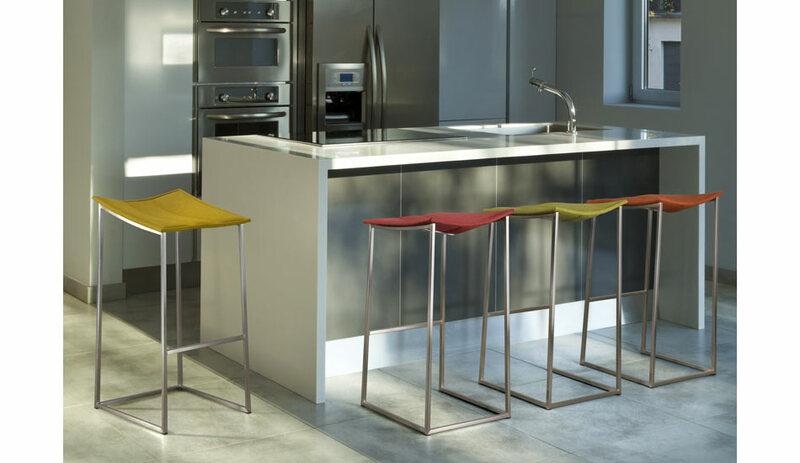 All of Trica’s stool bases are fully welded to guarantee that they will not loosen up. 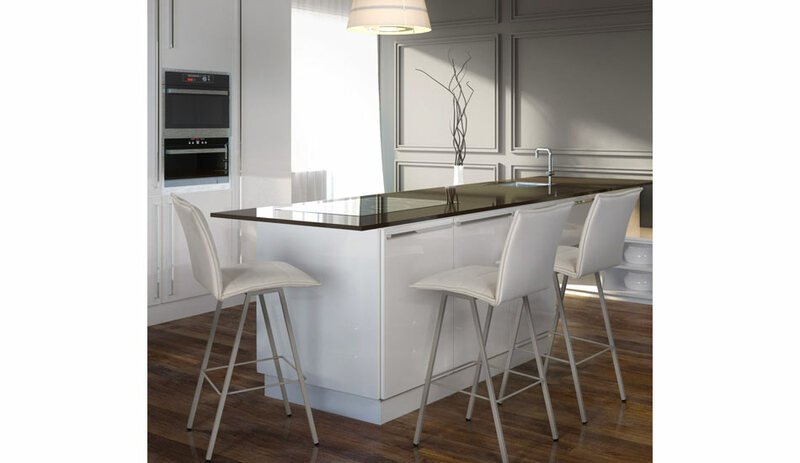 The quality of the materials and components reflect on the final product… and we are never disappointed! Trica Leather – The leather that Trica uses is made on “A” selection top grain leather hides of South American and European origins. The finishing of the leather is done in Italy, then slightly corrected, embossed & pigmented with water based colours. 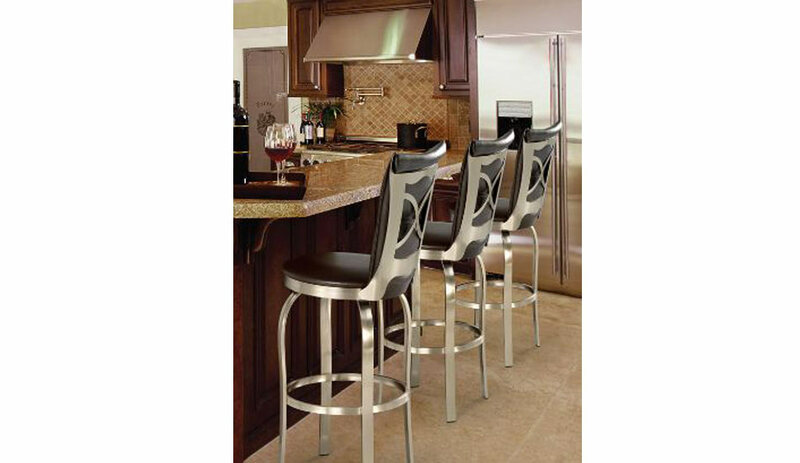 This makes the leather very strong and durable. 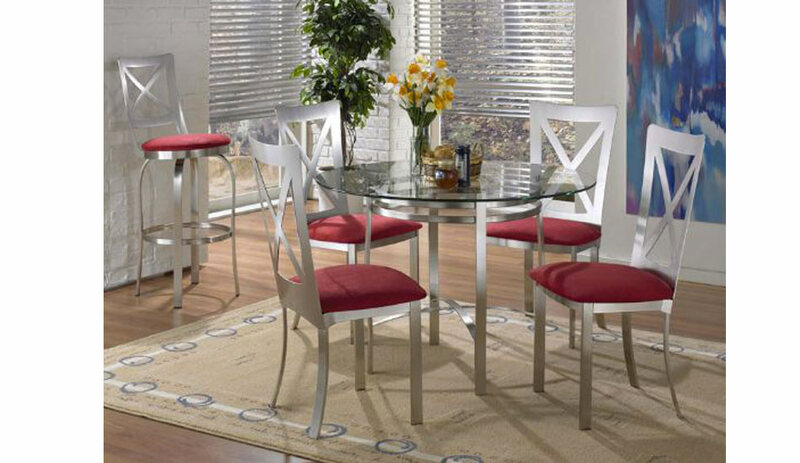 Often times this extremely luxurious leather is compared to the same quality of leather used in Top Designer handbags. 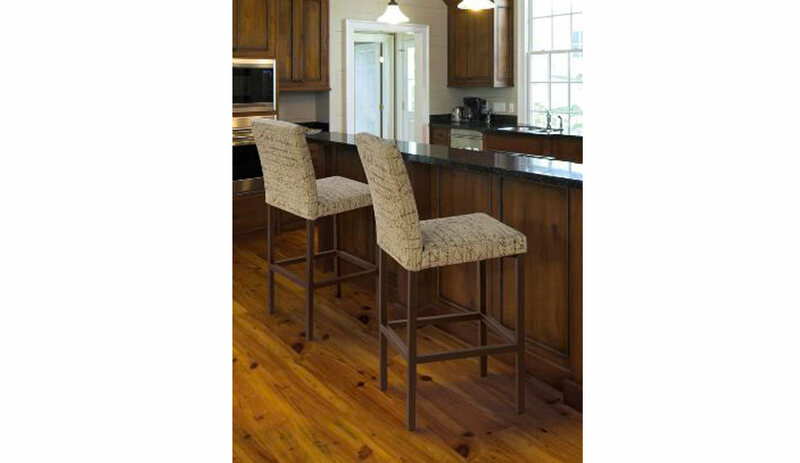 Comfort Seating – We highly recommend having your stools upgraded to Comfort Seating. 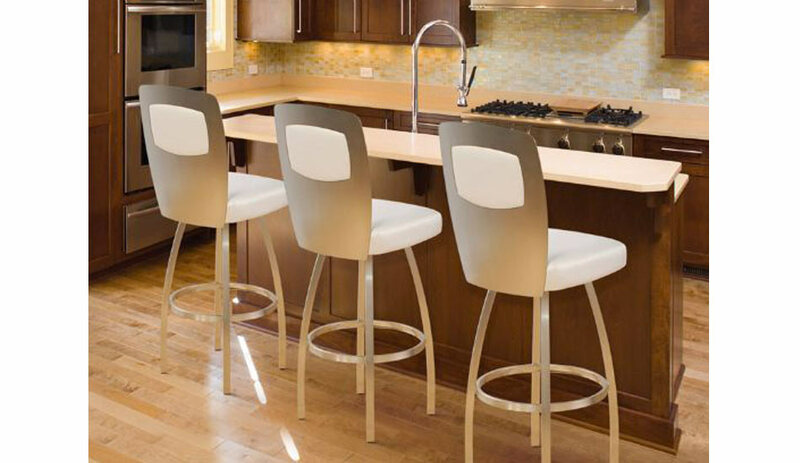 The resilient commercial grade urethane foam will make you feel like you’re sitting on a cloud. 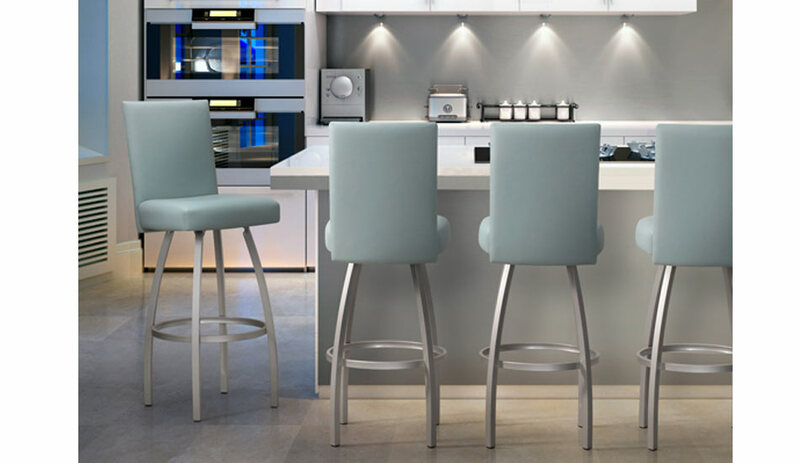 Once you come into our showroom and sit on one of our stools with the Comfort Seating you will truly understand why you should add this feature to your stools. 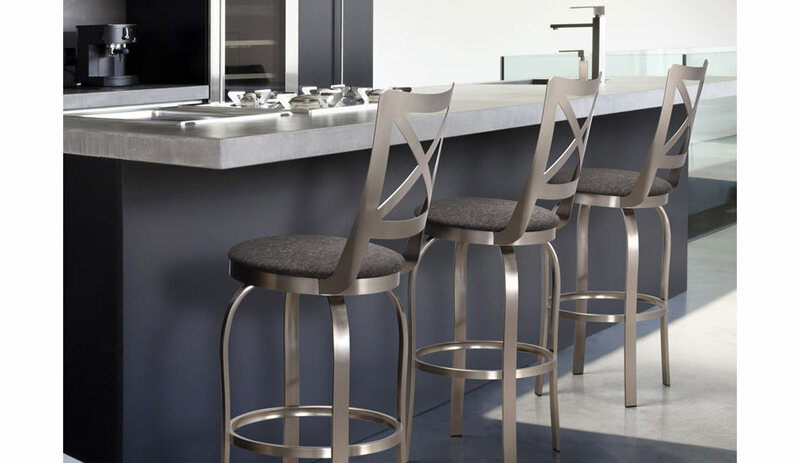 With over 90 bar stool designs & fabrics, brushed steel and 10 powdered paint finishes, they are completely customizable to meet all of your design needs. 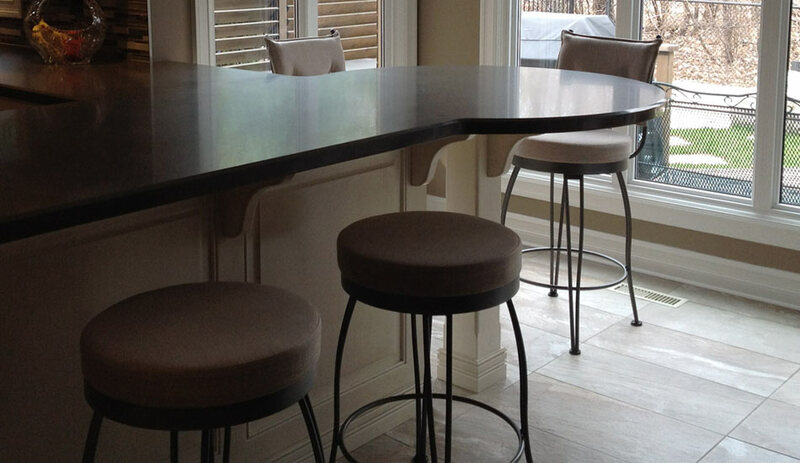 Trica products are custom ordered & are ready for pick up in roughly 10-15 business days from the date of order.